Alpha @ St. Dominic's is an opportunity to hear the Gospel of Jesus Christ, ask questions, and be welcomed into a respectful, non-judgmental community. Come as you are. Enjoy dinner, a dynamic short film or talk, and discussion. Invite a friend. Encounter Jesus and explore the essentials of Christian faith. You decide what's next after that. 4 Mondays evenings: Nov. 12, 19, 26, and Dec. 10th, from 7-9pm in St. Dominic's Parish Hall (2390 Bush St.). 1 Weekend overnight retreat, from 6pm on Nov. 30 - 2:30pm on Dec. 2nd, at St. Albert's Dominican Priory in Oakland (5877 Birch Court, Oakland, CA 94618). 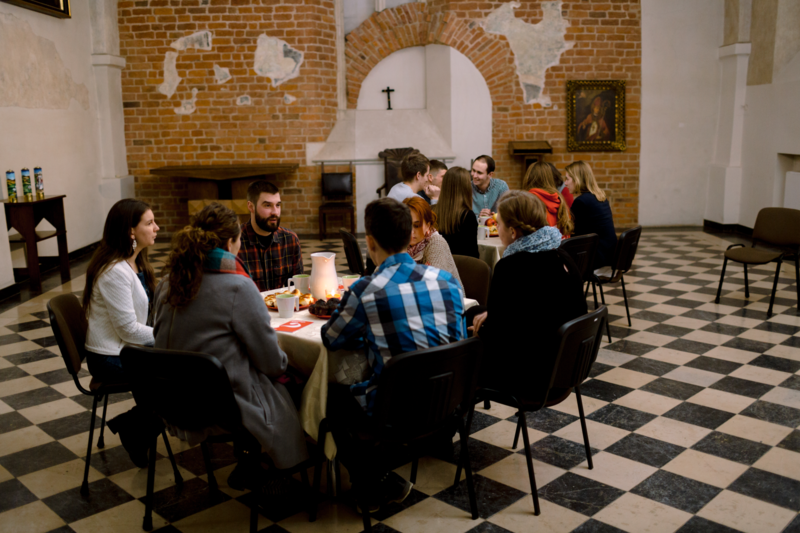 The Mondays nights are potluck style, and the retreat cost is $190 (scholarships available). SIGN-UP HERE. For more information, contact Michael O'Smith at michaelosmith@stdominics.org or (415) 567-7824 ext. 102. Here are some more resources to pique your interest: Alpha Film Trailer, Alpha in a Catholic Context.